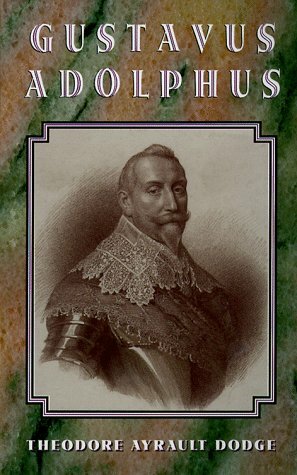 Gustavus Adolphus (1594–1632), King of Sweden, has been rightfully hailed as the father of modern warfare and as the most outstanding commander of the Thirty Years' War (1618–1648). Forming the first national conscript army in modern Europe, he emphasized officer education, strict discipline, rigorous training, and the combination of firepower and mobility, until he had foGustavus Adolphus (1594–1632), King of Sweden, has been rightfully hailed as the father of modern warfare and as the most outstanding commander of the Thirty Years' War (1618–1648). Forming the first national conscript army in modern Europe, he emphasized officer education, strict discipline, rigorous training, and the combination of firepower and mobility, until he had forged a formidable fighting force that stands unrivaled between Caesar's legions and Napoleon's Grande Armée. In 1630 Gustavus rescued the beleaguered Protestant cause in Germany from the Catholic League of the Holy Roman Emperor Ferdinand II militarily, led by the era's two other great captains, Tilly and Wallenstein. Gustavus triumphed against them (twice defeating Tilly) in battles that are tactical masterpieces, but he was killed while leading a cavalry charge at Lutzen.Illustrated with nearly 250 drawings and maps, Dodge's brilliant work (1895) not only examines the life, battles, and military innovations of Gustavus Adolphus but continues beyond the end of the Thirty Years' War to 1712, discussing his influence upon the great captains who followed—Turenne, Condé, Eugene, and Marlborough. The result is a clear, comprehensive study of a neglected but crucial period in the annals of warfare. Possibly the weakest entry in Dodge's otherwise superb Great Captains series. The author's religious bigotry skews his judgment in considering the events of the Thirty Years' War and Cromwell's campaign in Ireland. In the second half of this lengthy work, however, Dodge returns to strictly military affairs, and does a much better job analyzing the campaigns of Turenne, Conde, Eugene, and Marlborough. The father of modern warfare and a highly readable narrative/study of an overlooked period in the art of war. Massive and intimidating book--don't get put off by the size of the thing. Well worth the read for those who enjoy the evolution of military strategy and tactics.